Smart thermostats are an easy way to make your house look ten years newer - not to mention the vastly superior control you get over your air conditioning and heating, of course. If you don't yet have one of your own, the Google Store is offering the Nest Thermostat E for $20 off and throwing in a free Home Mini. Given that our Thermostat E review's takeaway was "it's kind of silly not to buy one," you can probably figure out that this is a good product. 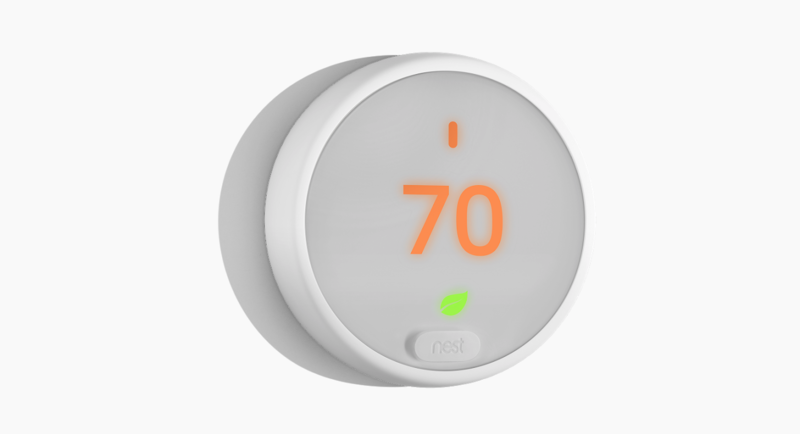 We liked the design, the Nest app, the Assistant integration, the scheduling features, the simple installation, and the price. That being said, the Thermostat E doesn't support as many wiring configurations as the standard model, and the frosted display doesn't have the Farsight feature. To take advantage of this offer, simply head over to the Google Store and add both a Thermostat E and a Home Mini to your cart. The $20 discount and Home Mini offer expire June 3rd and September 3rd, respectively, but you'll obviously want to purchase before June 3rd to get both deals. Hit the source links below to pick both up.